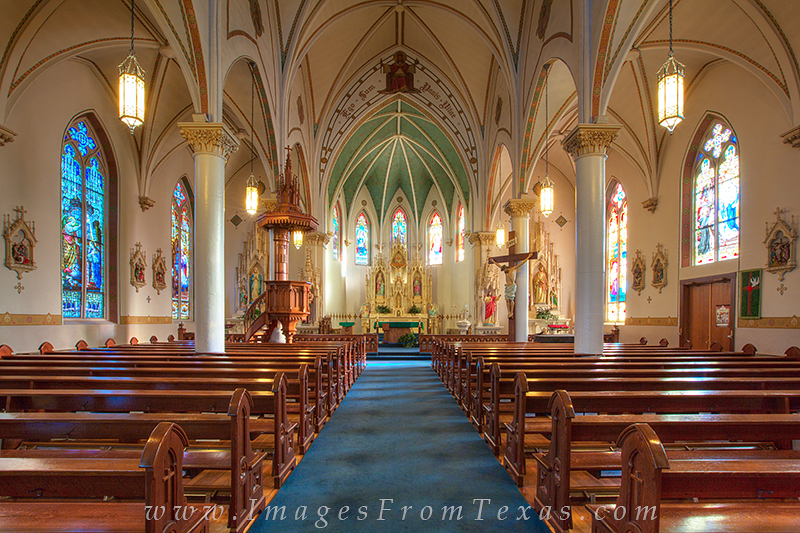 Listed as one of the painted churches of Texas, St. Mary's Cathedral was build in Frederecksburg, Texas, in the Texas HIll Country. Its gothic style is striking and takes you back to Europe as you enter its wooden doors. Stained glass allows colored light to flood the sanctuary on sunny mornings. Photo © copyright by Rob Greebon.